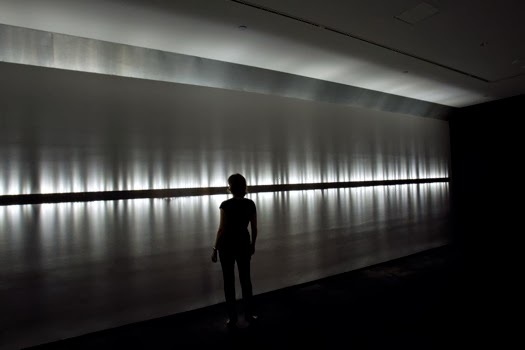 Matriz de Voz (Voice Array) by Rafael Lozano-Hemmer (b. Mexico City, 1967) transforms participants' voices into light. Speaking into an intercom, one's voice automatically becomes flashes of light and the unique blinking pattern is stored as a loop. Each new recording pushes the previous recordings one position down and gradually one can hear the cumulative sound of the 288 previous recordings. The voice that was pushed out of the array can then be heard by itself. Matriz de Voz (Voice Array) is on display at Casa Daros, Rio de Janiero, Brazil. 8 November 2013 - 9 March 2014.